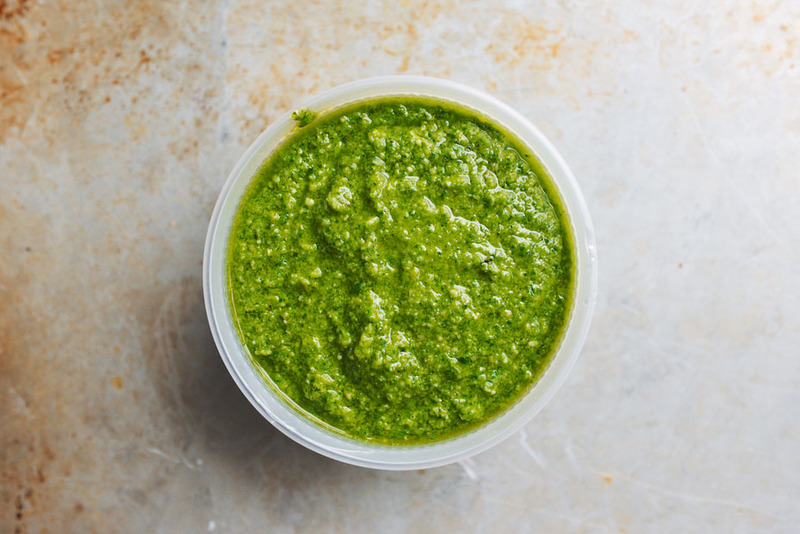 I made this pesto a few weeks ago for a group of friends; it was such a big hit, I decided to post it here. That first time, I served it as an alternative to ketchup and mustard. We grilled pork, chicken, and venison sausages; the pesto worked deliciously with all three. 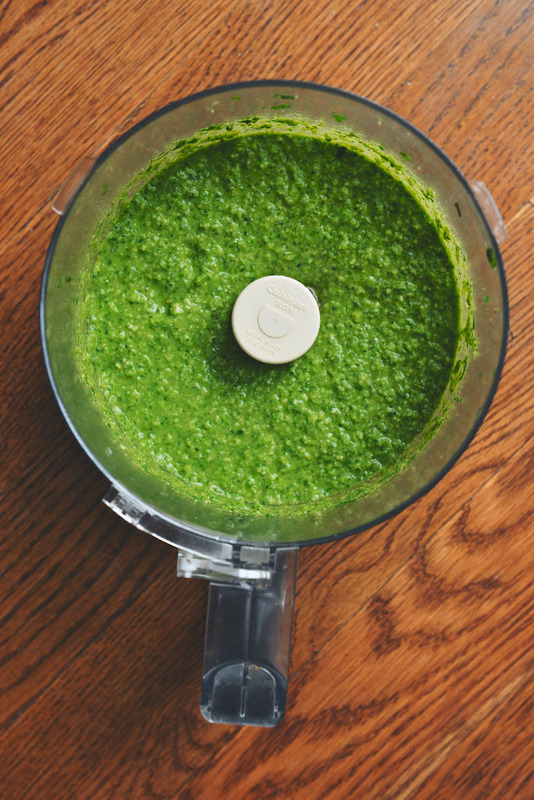 Since then, I’ve used this pesto to sauce the base of a pizza, to enhance a muffaletta sandwich, and to add heft to a breakfast sandwich of scrambled eggs and mozzarella cheese. I’ve dolloped it over tomato-avocado and raw zucchini salads. It goes well with fish and shrimp. 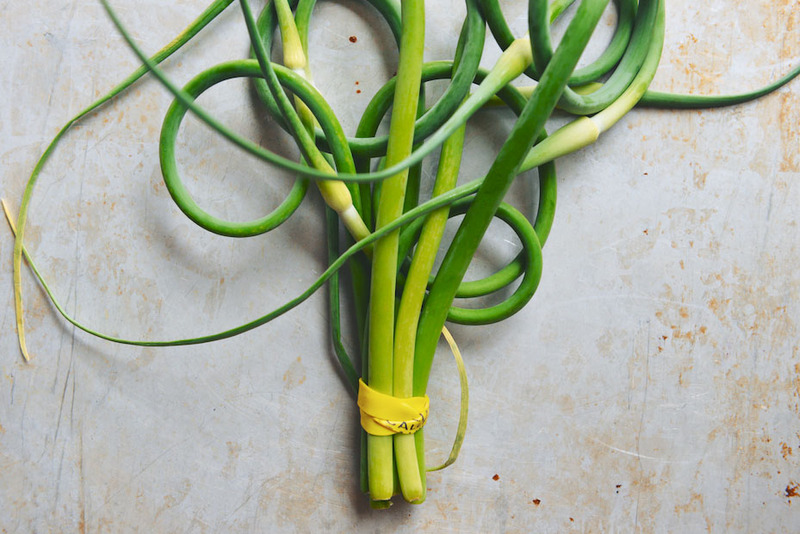 I like it as a dip for barely-blanched green beans. 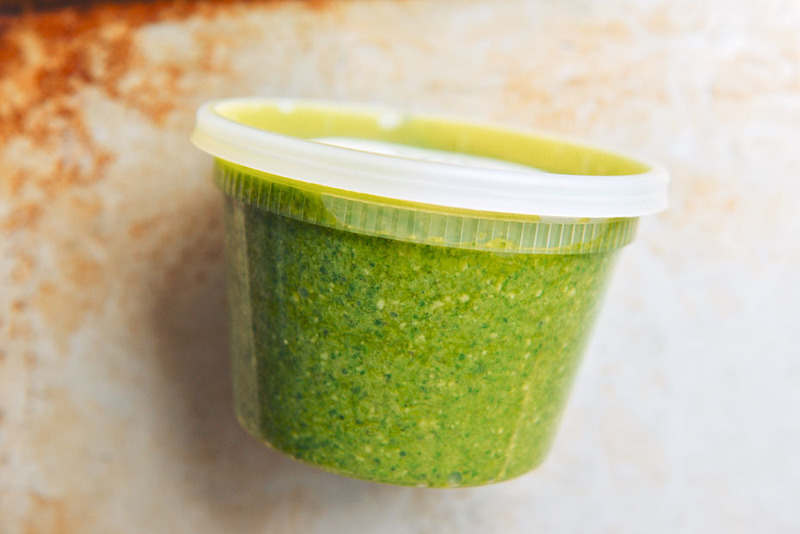 Basically, if you enjoy garlic, you will enjoy this garlic scape pesto. 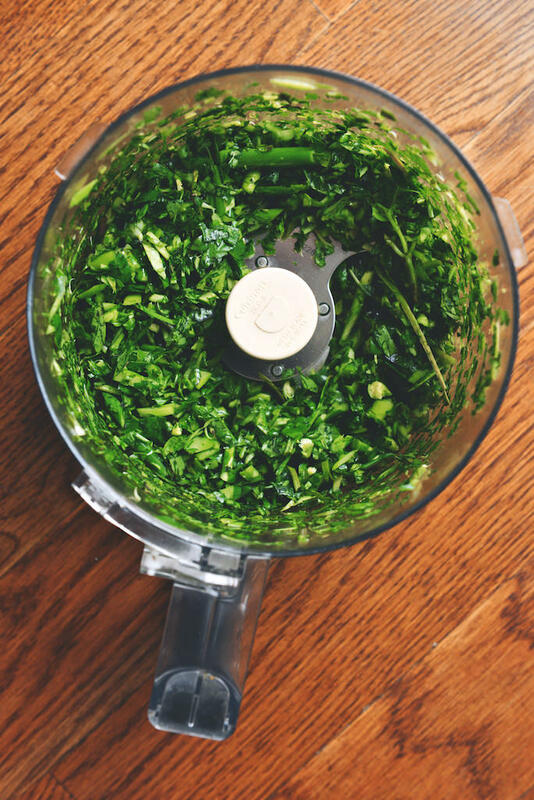 Add the garlic scapes (washed and dried) and the basil (also washed and dried) to the bowl of a food processor; pulse 25 times. Add the Parmesan, pumpkin seeds, zest and juice, salt and pepper. Turn the on processor while, in a steady stream, you add the olive oil. 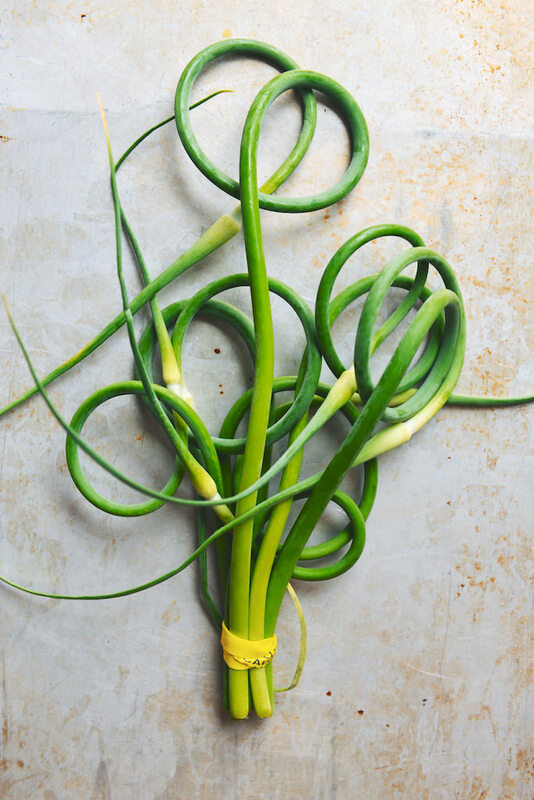 Blend for 1 minute, or until the scapes and basil are well pureed. 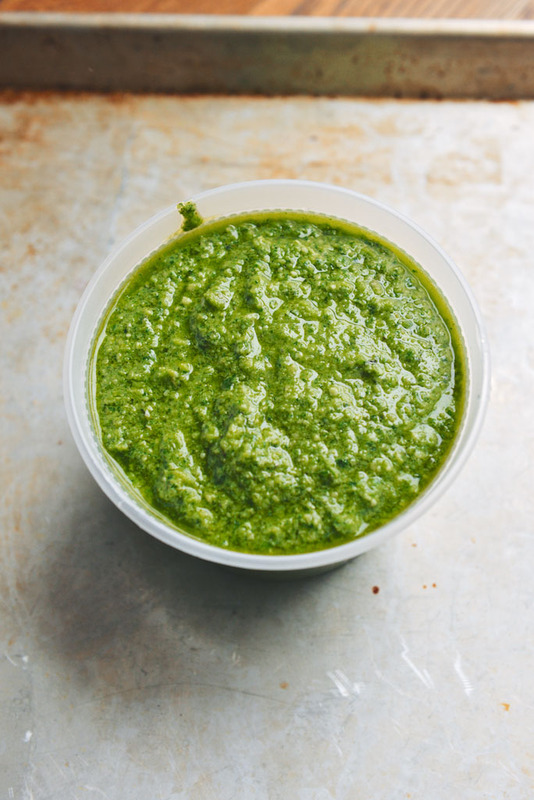 Taste the pesto; adjust the salt and lemon if needed. Oh yum! 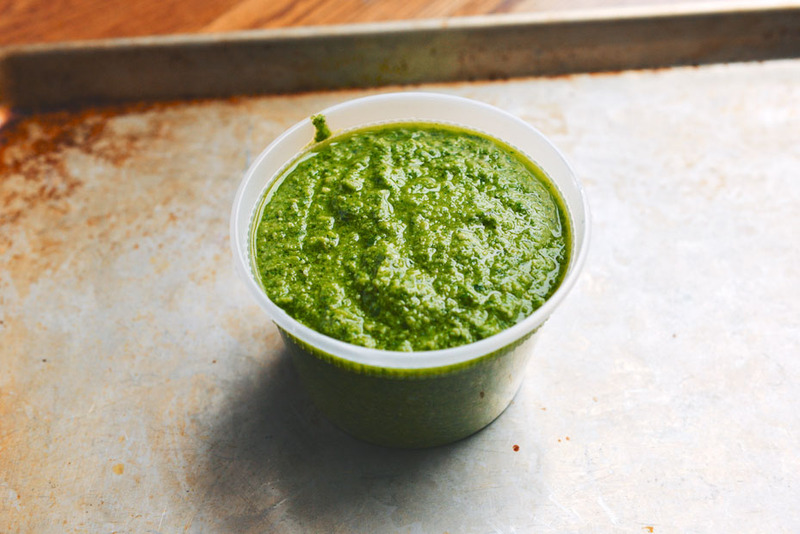 Pesto is one of my favorite foods! Thank you for sharing this!